Stacey Curtis says her mantra lies within the Ralph Waldo Emerson quote, “The purpose of life is not to be happy. It is to be useful, to be honorable, to be compassionate, to have it make some difference that you have lived and lived well…” She completes the quote with her own ending, “then happiness will follow!” Curtis displays her love of life and energy in the various roles she plays within the college. Currently, she serves as the Course Coordinator for Professional Practice Skills Lab, Community Introductory Pharmacy Practice Experience, and Advanced Topics in Community Pharmacy. The latter, an elective she created herself, combines two of her life passions: student development through teaching and community pharmacy practice. Additionally she serves as Course Co-Coordinator for Principles of Systems-Based Practice and Pharmacy Management. Outside of the classroom, she was appointed by Dean Julie Johnson to serve on the Recruitment, Admissions, and Retention Task Force and is a member of the Admissions Committee. She serves as a Brand Ambassador as well as the 2017-2018 Faculty Delegate for the American Association of Colleges of Pharmacy (AACP). 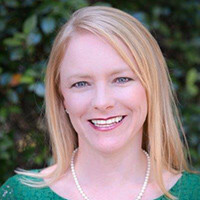 To ensure her connections with students outside of the classroom, Curtis is the Faculty Advisor for National Community Pharmacists Association (NCPA), Gator Pharmacy Wellness (GPW), and Christian Pharmacists Fellowship International (CPFI). Faith, family, and friends provide a solid foundation and balance for Curtis on a day-to-day basis. She is a traveling nomad at heart. She loves spending quality time with her husband and 3 children, outdoor activities and mentoring professional pharmacy students. Prior to her current endeavors, Curtis worked in the Office of Experiential Programs serving as a Regional Coordinator for the Gainesville, Panhandle, and out-of-state regions (5 years), the Lead Regional Coordinator (4 years), and as the Assistant Director (1 year). The college deems Curtis a “Community Pharmacy Expert” given her 20+ years of experience where she has had many roles including Staff Pharmacist, Pharmacy Manager, Pharmacist Trainer, Pharmacy Recruiter, Pharmacy Intern Coordinator, and of course Preceptor for many pharmacy students.